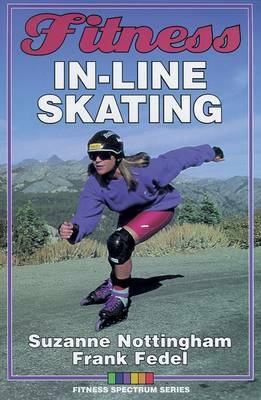 Fitness In-Line Skating is the perfect training tool. Learn what skates and equipment to use, then work toward your fitness goals with the help of six training zones and 48 color-coded workouts that range in difficulty from very easy to very hard; three sample skating programs from which to choose according to your training goals, fitness level, and desired training distance; cross-training advice for cycling, ice skating, rowing, running, Alpine skiing, snowboarding, and weight training; and guidelines for using the workouts to design a program of your own. """Nottingham has written a comprehensive guide that authoritatively defines the relationship between fitness and in-line skating.""" """A definite classic for fitness professionals and novice or experienced skaters!"""